Some 12 months ago we published the first CodeTwo Exchange Rules 2007 1.0. 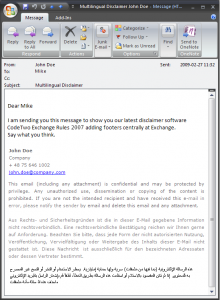 Today, it gets replaced by the new release: CodeTwo Exchange Rules 2007 2.0. The updated version is rich in new features and functionalities such as the close integration with Active Directory, brand new HTML editor, support for all world languages, support for the latest Microsoft systems, and more. 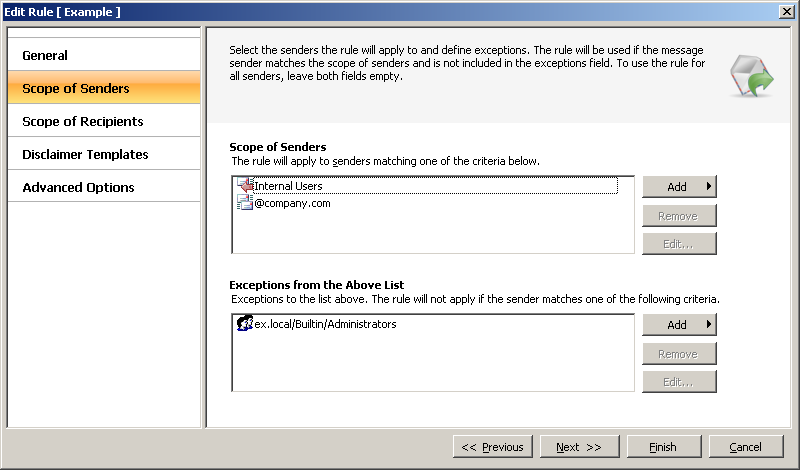 First of all, with the new Exchange Rules 2007 the selection of users for rules is so much easier. 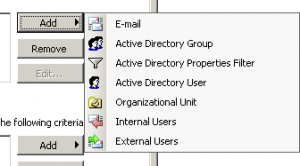 With the AD integration the choice of users is made directly by browsing Active Directory containers where the administrator can pick up individual users, user groups, or whole organizational units to include them in the scope of senders that will receive footers in their messages. The footers (disclaimers/signatures) are added at the server where the program is installed according to the template composed by the administrator. 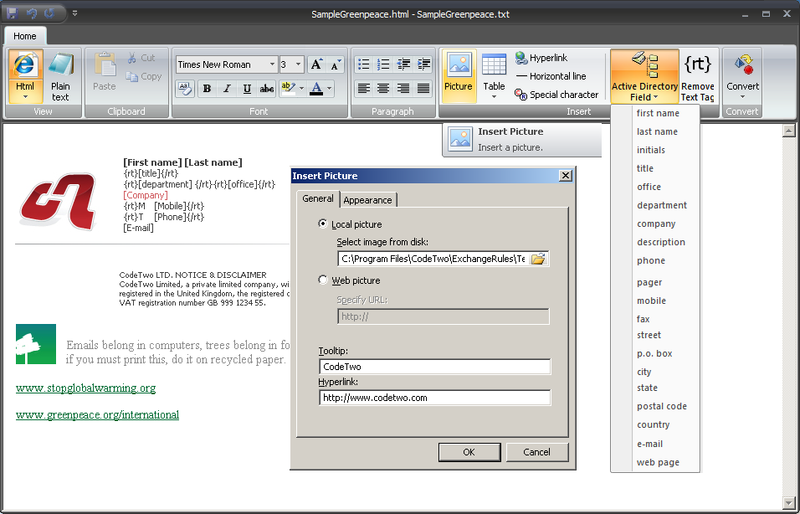 While creating the template, the built-in editor comes handy. It also deserves a mention here. The new built-in editor has been completely engineered by CodeTwo. Previously an outsourced editor was used, the result of which were quite a few problems with the templates created in the same. 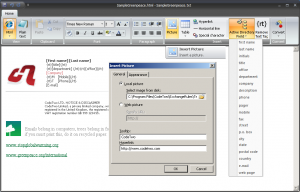 The new editor has a modern look and contains much more capabilities. It is also so much more reliable. Another frequently asked for capability involves the use of all world languages in creating disclaimers. 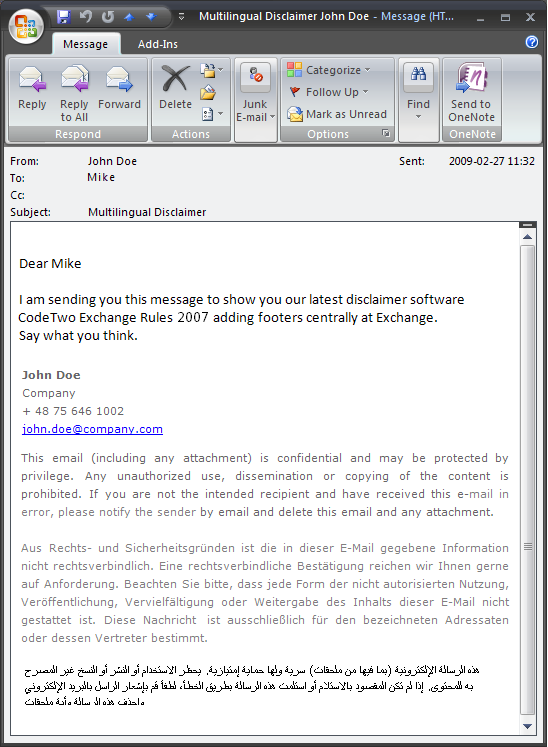 CodeTwo Exchange Rules 2007 2.0 meets this requirement in 100%. The users of all world languages incl. Chinese, Arabic, Japanese can compose footers in their national characters. Also, the application will let you add a multiple disclaimer containing various encodings, for example English text, Arabic and German. 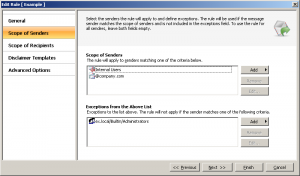 Additional features include ability to install CodeTwo Exchange Rules on the latest systems such as Windows Server 2008 and Small Business Server 2008, overhead reducing features such as Active Directory Cache, Asynchronous Message Processing, and archiving utility to store the history of messages processed by Exchange. New to the program is the licensing technology. The user will no longer have to send us the registration code to obtain the activation code to unlock their trail. The license key that can be used to activate automatically will be received on completion of the order. Lastly, it needs to be pointed out that we did away with the so called paperclip issue, in which messages containing graphics would sometimes display an attachment symbol next to the message in the form of the paperclip.